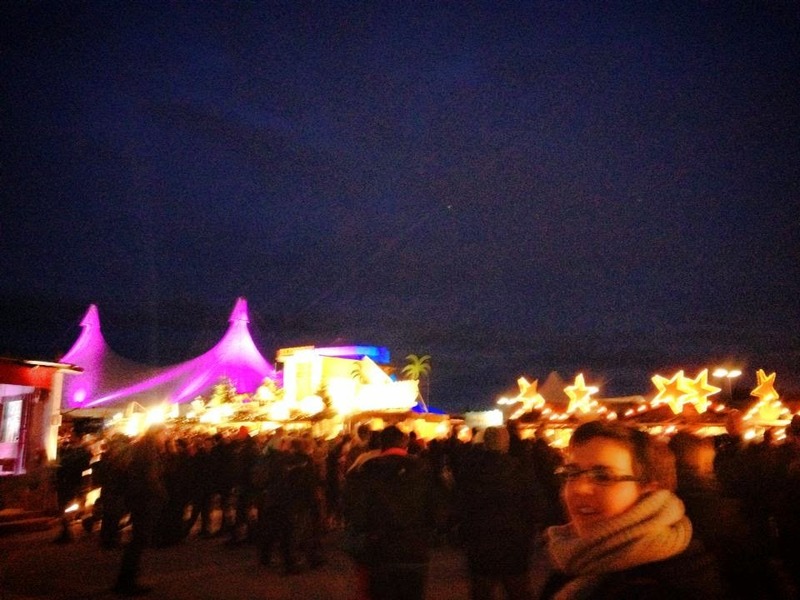 My fourth and last work christmas party started at the huge and very alternative christmas market "Tollwood". 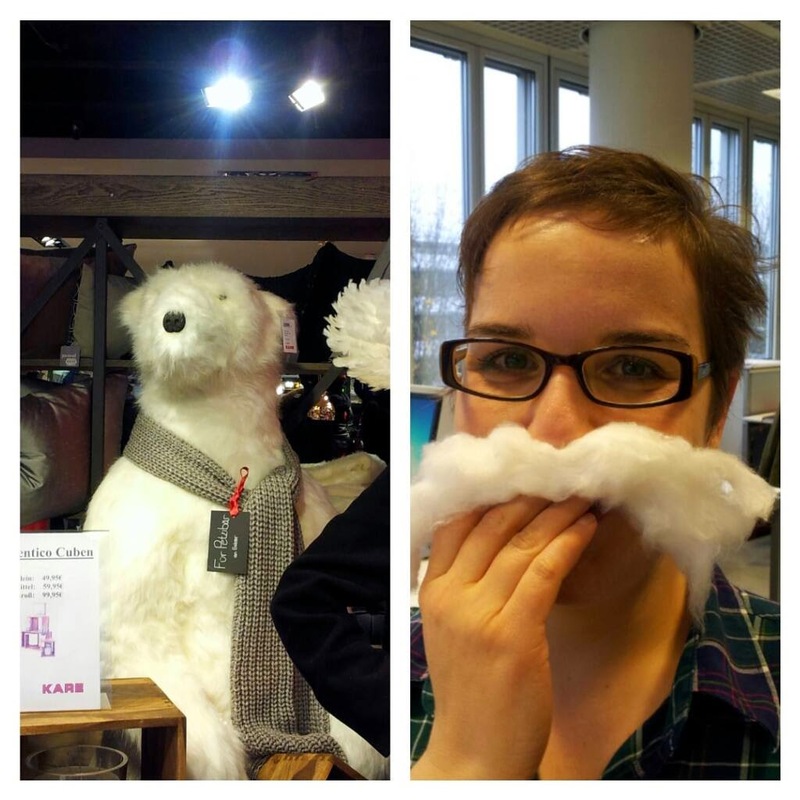 We met up at the "Feuerzangenbowle" stall and had a couple of those. Feuerzangenbowle is a German speciality, which Wikipedia explains like this: "Feuerzangenbowle is prepared in a bowl, similar to a fondue set, which usually is suspended over a small burner (rechaud). The bowl is filled with heated dry red wine spiced with cinnamon sticks, cloves, star anise and orange peel, similar to mulled wine. The Feuerzange was originally a pair of tongs, but nowadays it is common for a purpose-designed metal grate mounted on top of the bowl to hold the Zuckerhut (sugarloaf or literally "sugar hat"), a sugar cone around seven inches long. The sugar is soaked with rum and set alight, melting and caramelizing. The rum should have at least 54% alcohol per volume and be at room temperature in order to burn properly. More rum is poured with a ladle until all the sugar has melted and mixed with the wine. The resulting punch is served in mugs while the burner keeps the bowl warm. For some the ceremony is more important than the drink itself, celebrating the gathering of friends and conveying a notion of Gemütlichkeit." Just as well that we had to take a 15 min walk to the restaurant, because those mulled wines can really muddle your brains. We had dinner at the "Augustiner", a Bavarian Inn, famous for its beer. It was a cozy, yummy and entertaining evening. 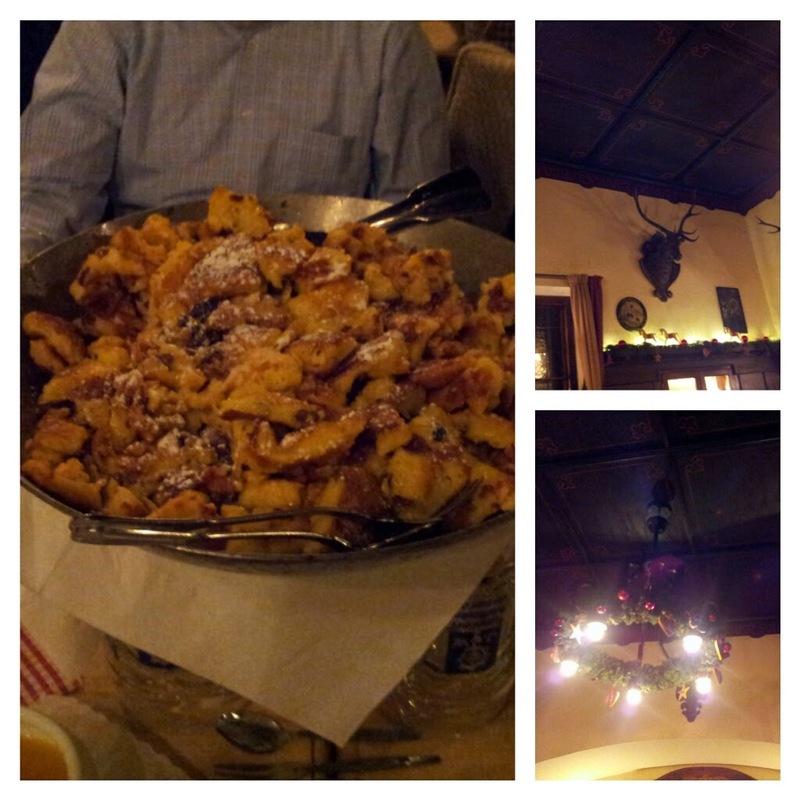 The highlight, of course, the "Kaiserschmarrn", my favourite dish ever! It's a pastry dish from Austria best described as torn, fluffy pancakes. 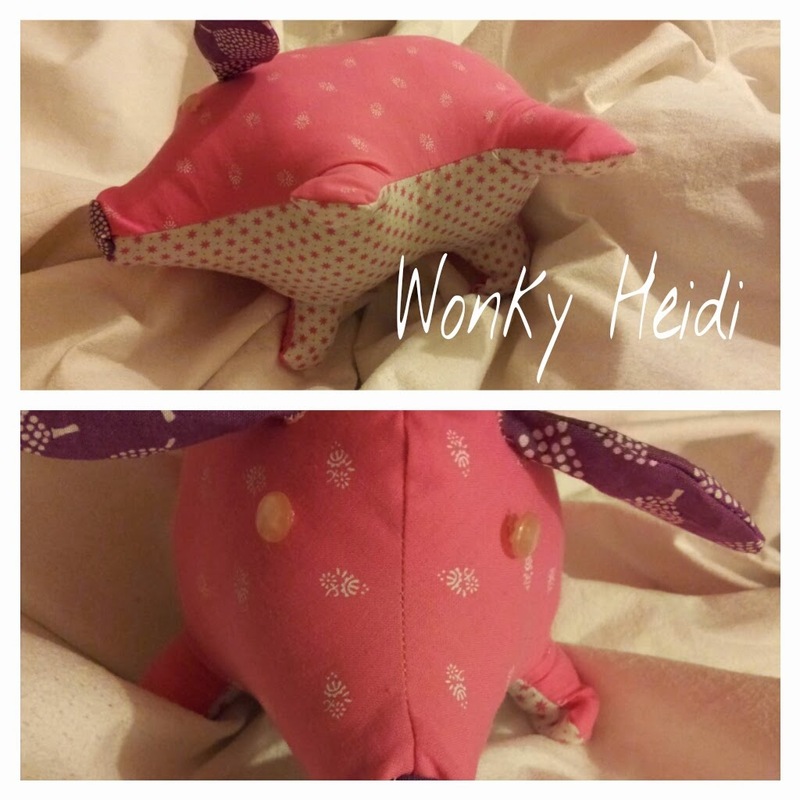 To keep you updated on the crafty front, here the latest piggy, already named "Herr Schröder" by its new owner. 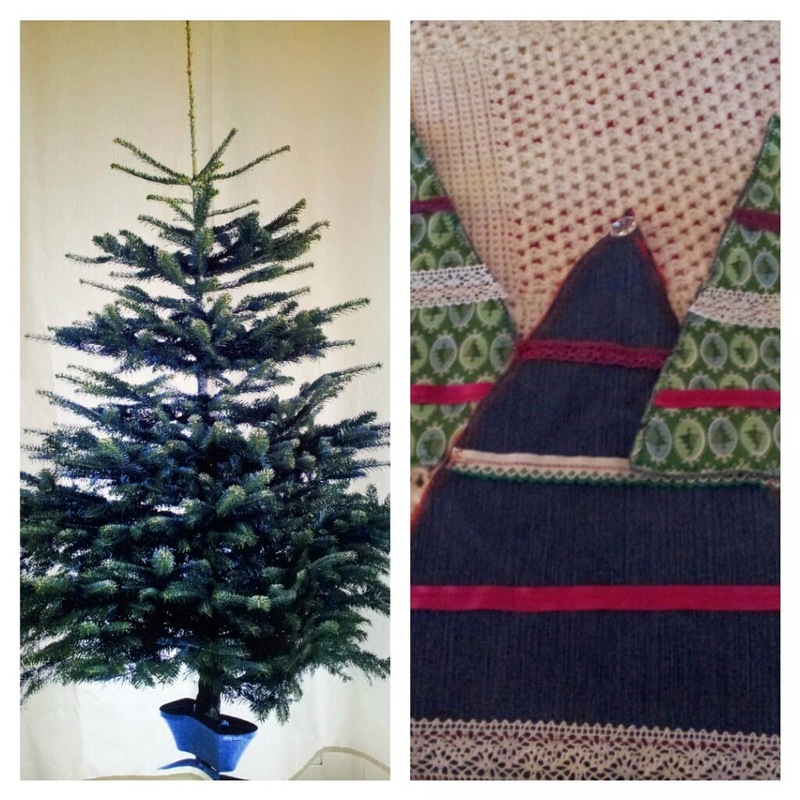 The latest from the Wonky Homewear Collection: The fir tree doily. Last weekend found me at my brothers place up to my elbows in dough, producing delightfully wonky but tasty biscotti, mince pies, all-spice brownies and vanilla crescent cookies. 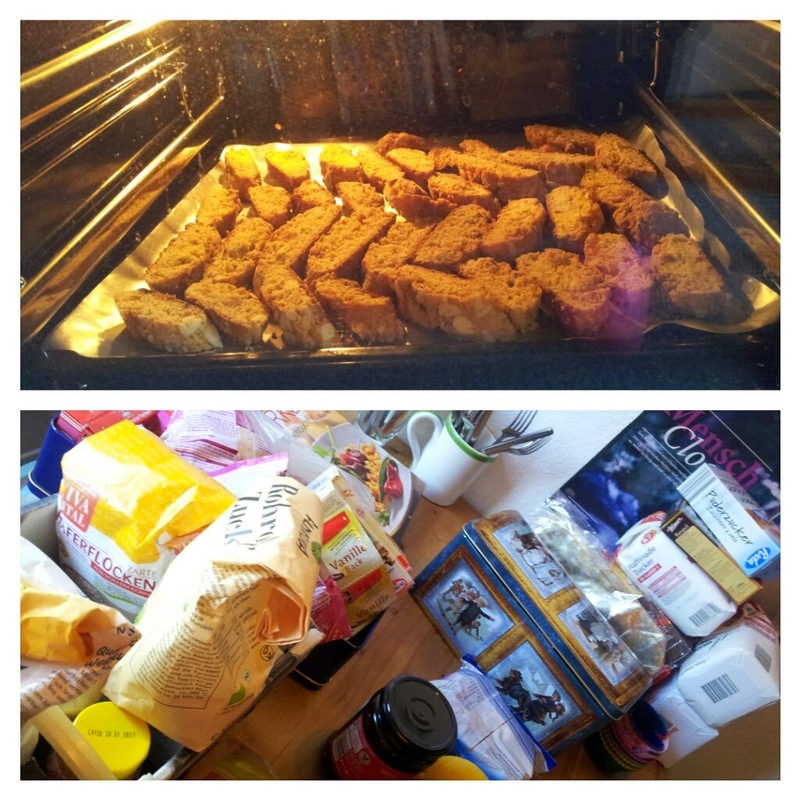 We produced a right mess but survived with the help of (in my case) vodka, gherkins and salmon sandwiches! Last but not least: Having a laugh!